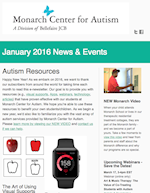 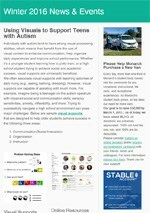 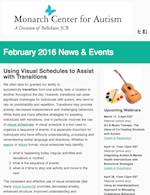 Monarch Center for Autism distributes e-newsletters to more than 18,000 members of the autism community worldwide. 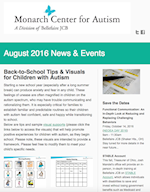 To subscribe to receive these e-newsletters, please fill out the form below. 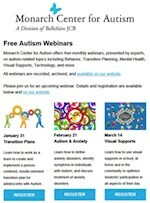 Archived e-newsletters, which contain visual supports, recommended resources, tips, tricks, and upcoming events, are available below.